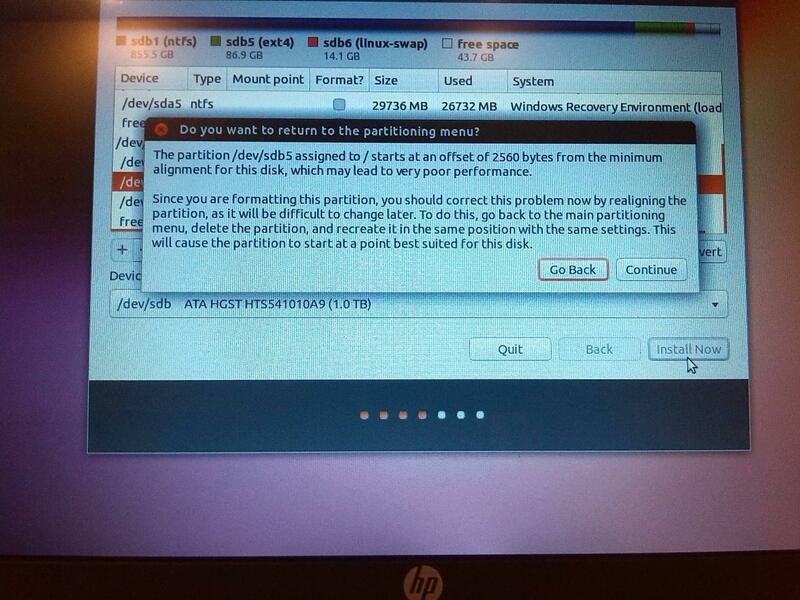 During the installation of Ubuntu 13.10, I was also blocked by the disk partition problem of offset 512 Bytes. Boot installation CD (or usb stick) so you get the page showing HD needs, internet connection etc. Press Ctrl+alt+F1 to get into "terminal mode". Run sudo parted -a optimal /dev/sda (change drive name accordingly). This will startup parted with this optimal setting for this drive.